Morris Oxford MO (1949- 54). ( This is the Morris Oxford that looks like a big Minor ). ( Don't buy these for any later Morris Oxfords - They won't fit ). I can do much more on the phone. 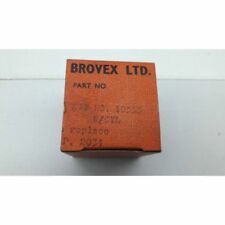 Fits the Morris Oxford Series V & VI 1959 to 1971. 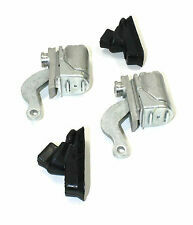 Set of four rear brake shoes. 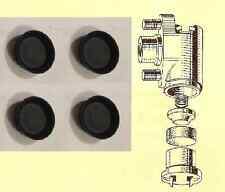 A set of 4 rear brake shoe fixing beehive springs. Part number for reference: TT3949. MORRIS OXFORD 'FARINA' SERIES V & VI (ALL MODELS). Kit reparation cylindre de roue avant BROVEX 10555. MG MAGNETTE 1.6. MORRIS OXFORD 1.5. Ce kit est pour 1 ctlindre de roue avant. - Le Numéro de Série (E.). - La date de 1ere immatriculation (B). - Le type du véhicule (D.2). A set of four quality front brake wheel cylinders for the Morris Oxford MO 1949 to 1954 & Morris Six 1948 to 1953. A pair of quality rear brake cylinders complete with handbrake lever boots. Morris Oxford. (Not for the 1920's Bullnose Type Morris Oxford). (Not for the earlier Oxford MO 1949-53 - the one that looks like a big Morris Minor). (Not for the Later Farina Oxford 5 & 6 with fins on the back as they have Girling Brakes). MORRIS OXFORD AND COWLEY. SET OF 4 REAR BRAKE LININGS WITH RIVETS. ( Not for the earlier Morris Oxford MO or the Ser 234 of 1948- 59 ). 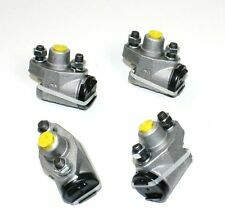 Here’s a new set ofFront Brake Adjusters. Morris Oxford. (x4) for the following models fromMorris -. (1959- 61). (1961- 71). I can do much more on the phone. Morris Oxford (Ser.5). Morris Oxford (Ser.6). ( Not for the earlier Oxford MO or Oxford Ser 234 . I can do much more on the phone. 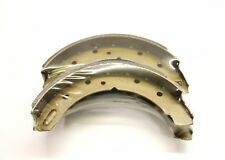 Here's a set of newFront Brake Shoes for the following models fromMorris -. ). PART EW395. MORRIS OXFORD. THESE ARE NEW DATED HOSES. Tuyau de frein définit pour Morris Oxford Mk 5 ou 6, tous fabriqués sur un outil à évaser professionnel avec qualité KUNIFER 3/16" tuyau de frein. Type Brake Line. Kit reparation cylindres de roue avant BROVEX 10555. MG MAGNETTE 1.6. MORRIS OXFORD 1.5. - Le Numéro de Série (E.). - La date de 1ere immatriculation (B). - Le type du véhicule (D.2). - L'immatriculation du véhicule (A. )(Pour la France). TRAVELLER (ESTATE). MORRIS OXFORD. FRONT / REAR BRAKE SHOES. 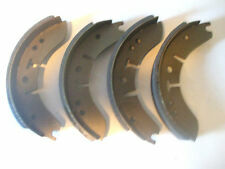 BRAKE SHOES - SET OF 4. PART: IW396. MORRIS OXFORD MO. A pair of quality front brake wheel cylinders for the Morris Oxford MO 1949 to 1954 & Morris Six 1948 to 1953. Morris Oxford (Ser 5 & 6). (Not for any earlier Morris Oxfords which used Lockheed brakes). ( From 1959- 71 ). I can do much more on the phone. 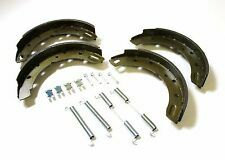 Here's a set of newRear Brake Shoes for the following models fromMorris -. MORRIS OXFORD MO. NEW SET OF FRONT BRAKE SHOES SET (4). MORRIS OXFORD. REAR WHEEL CYLINDER SEAL KIT BOTH SIDES. Morris Oxford. Here's a set of (x4) ofRear Brake Shoe Springs for the following models fromMorris-. Only fits the Rear and not for the earlier MO or later Oxfords. (Series 2, 3 & 4 Only) (1954-59 Only). Here's a set of (x8) ofFront & Rear Brake Shoe Springs for the following models fromMorris -. Morris Oxford. Fits the on the Front & Rear. (Series 2, 3 & 4 Only) (1954-59 Only). I can do much more on the phone. MORRIS OXFORD. BRAKE MASTER CYLINDER SEAL KIT. (TECHNICAL NOTE 3/4" BORE CYLINDER). Classic Spares. MORRIS OXFORD MO. 1949 TO 1954. FRONT BRAKE WHEEL CYLINDER NEW SET OF 4. Car set of brake seal rubbers for the Morris Oxford MO 1948 to 1954. 4 x Front brake cylinder cup seals. 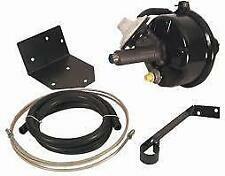 1 x Brake master cylinder repair kit. NEW HANDBRAKE CABLE. MORRIS OXFORD SERIES V TRAVELLER. Here's an axle set ofBrake Shoe Fitting Beehive Springs. Morris Oxford. (x4) for the following models fromMorris -. A set o f x4 will do either the Front Axle or Re ar Axle. (Not for the Later Oxford 5 & 6 with fins on the back as they have Girling Brakes). I AM UNAVAILABLE TO PROCESS ORDERS FROM THE 14TH SEPTEMBER 2014 UNTIL THE 5TH OCTOBER 2014. ORDERS CAN BE PLACED ON THIS BASIS ONLY. ANYTHING YOU WANT TO ASK?. Here's a new Snail CamBrake Adjuster (x1) for for the following models fromMorris -. As you can see in the picture the 'Mask' is included with the Snail Cam. Morris Oxford. (Not for the 1920's Bullnose Type Morris Oxford). POLISHED CUPRO-NICKEL BRAKE PIPE SET. I WILL BE UNABLE TO PROCESS ORDERS FROM THE 14TH SEPTEMBER 2014 UNTIL THE 6TH OF OCTOBER 2014. ORDER ONLY ON THIS BASIS. I WILL ACTION ORDERS ASAP AFTER I GET BACK. WOLSELEY 15/50 & 16/60 ; YEARS 1959-1971. MG MAGNETTE MkIII & IV ; YEARS 1959-1968. AUSTIN A60 CAMBRIDGE ; YEARS 1961-1969. AUSTIN A55 MkII ; YEARS 1959-1961. MORRIS OXFORD SERIES V & VI ; YEARS 1959-1971. Morris Oxford. Here's a set of (x4) ofFront Brake Shoe Springs for the following models fromMorris -. (Series 2, 3 & 4 Only) (1954-59 Only). Only fits the front and not for the earlier MO or later Oxfords. (Nor for the Earlier Oxford MO or the later Oxford V & VI, only for the 50's Cowley - Not the 30's Bullnose Cowley). Morris Cowley 1200cc & 1500cc (Excluding Van). Morris Oxford Ser. IV (Inc Traveller). Morris Oxford MO. (Not for any later Morris Oxfords). Here is a set ofFront Wheel Cylinders (x4) for the following models fromMorris -. I can do much more on the phone. DO YOU WANT A.
MORRIS OXFORD MK 3 AND TRAVELLER, 1961. TWO NEW REAR WHEEL CYLINDERS. I WILL BE UNABLE TO PROCESS ORDERS FROM THE 14TH SEPTEMBER 2014 TO THE 6TH OF OCTOBER 2014. ONLY ORDER ON THIS BASIS. I WILL ACTION ORDERS ASAP AFTER I GET BACK. MORRIS OXFORD MO. NEW BRAKE MASTER CYLINDER. Morris Oxford (Ser 5 & 6). (Not for any earlier Morris Oxfords which used Lockheed brakes). (x4) for the following models fromMorris -. ( From 1959- 71 ). These are the Springs that pull the Brake Shoes together, you can see how they fit in the background picture. (This is for the Morris Oxford that looks like a big Morris Minor). Morris Oxford MO. The hoses for all later Morris Oxfords are different. (x2) for the following models fromMorris -. Here's pair of newFront Brake Hoses. Front brake wheel cylinder to fit the Morris Oxford MO Series 1948 to 1954. COPPER BRAKE PIPE SET. PIPE SET CAN BE MADE IN COPPER OR KUNIFER. I WILL NOT BE AVAILABLE TO PROCESS ORDERS FROM THE 14TH OF SEPTEMBER 2014 UNTIL THE 6TH OF OCTOBER 2014. ANYTHING YOU WANT TO ASK?. FRONT/REAR BRAKE LININGS WITH RIVETS. MORRIS OXFORD. MORRIS OXFORD. REAR FLEXIBLE BRAKE HOSE.